Poteau Upper Elementary School is pleased to announce their Student of the Week for the third week of January. RESILIENCE- The capacity to successfully manage high levels of change. 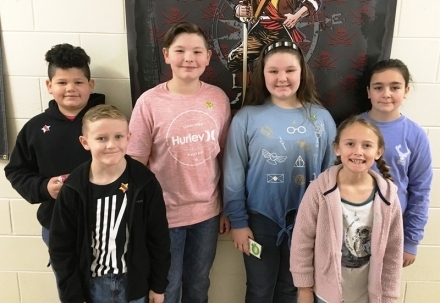 Students of the week are: Daxton Neal, Kruze Jenkins, Kade Cooper, Desirae Collins, Sophie Parker, and Lilly Moore.